HockeyPucks hiking and highpointing: Jeremy Hill - 575 Ft. PARKING: From Rt. 128 in Pelham turn on to Jeremy Hill Road. You'll see the hill on your right and loop around it's base to the end of Jeremy Hill Rd. Park at the end of the road. Be sure to avoid blocking the nearby driveways. The trailhead enters the woods between two houses. 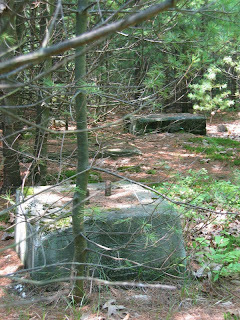 DESCRIPTION: The trailhead is gated and there is a No Trespassing sign mounted to a tree to the left of the trail. The tree and property to the left are indeed private property the trail is public access and part of the small 63 acre Jeremy Hill State Forest. The tight trail will lead to an abandoned Carriage Rd and continues right for a total of 0.28 miles. The trail turns left, narrows to a 4x4 trail and begins it's gradual ascent another 0.2 miles to the Jeremy Hill Summit. 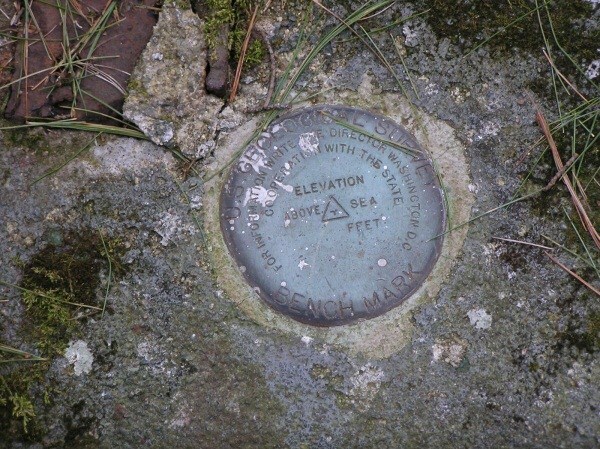 You'll find concrete slabs marking the base of the old fire tower and a benchmark disk embedded into one of the slabs. Access Path - Carriage Rd = 0.13 Mi. Carriage Rd - 4x4 Trail = 0.15 Mi. 4x4 Trail - Summit = 0.20 Mi. 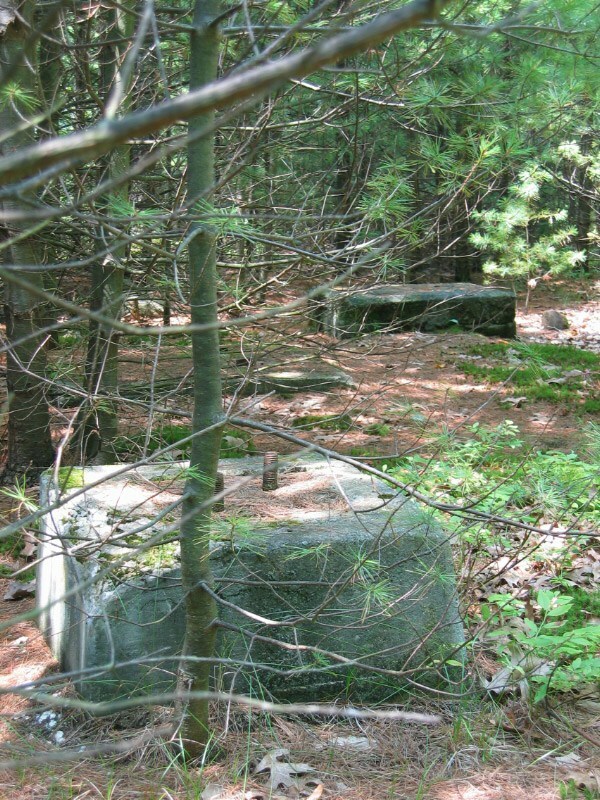 Hunting is permitted in the Jeremy Hill forest and once you reach the summit area it's littered with the remains of the fire tower and 55 gallon drums peppered with bullet holes. The area is overgrown with white pine trees however I could picture the 55 Ft tower prominently overlooking the surrounding farm lands. According to Firelookout.org the tower was built in 1918 and remained in service until 1981. It was torn down in 1982 - 1983. There is a benchmark disk embedded into one of the concrete foundations and there is a benchmark listed (MY2648) in the benchmark database however, the description, marker type and setting in the database all do not match the identify of the benchmark embedded in the slab. The identical location is the only similarity.